The Nebraska Education Savings Trust Plan provides tax-advantaged 529 accounts meant to encourage saving for postsecondary education costs. Contributions grow tax-deferred, and withdrawals are exempt from state and federal taxes as long as they are used for a beneficiary’s qualified higher education expenses such as tuition, books, supplies and room and board. Currently, individuals other than the plan’s participant, or registered owner, are ineligible for the state income tax deduction on contributions they make to NEST accounts or accounts created under the state’s Achieving a Better Life Experience program, which may be used to pay for qualified disability-related expenses. Annual deductions are limited to $5,000 for those married filing separately and $10,000 for other filers. LB470, introduced by Gretna Sen. Andrew La Grone, would allow “nonparticipants” to claim the state income tax deduction on the contributions they make to a beneficiary’s NEST account, and it would eliminate the cap on deductions for contributions to NEST accounts and ABLE accounts. The state Department of Revenue estimates LB470 would reduce state income tax revenue by $25.9 million in fiscal year 2020-21, an additional $27.7 million in FY2021-22 and $29.7 million in FY2022-23. LB544, introduced by Elkhorn Sen. Lou Ann Linehan, would provide college scholarships to Nebraska resident children from a fund administered by the state treasurer. The state would add $100 to the fund for each child enrolled in the program during the previous fiscal year. 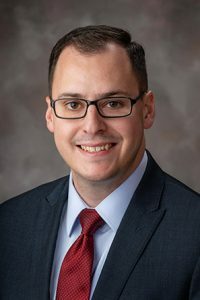 LB545, introduced by Omaha Sen. Justin Wayne, would allow individuals to claim an income tax deduction against contributions an employer makes to their account. LB547, introduced by Lincoln Sen. Anna Wishart, would provide low-income Nebraskans with state grants equal to contributions they make to their accounts. LB610, introduced by Omaha Sen. Brett Lindstrom, would provide employers with an income tax credit of up to $2,000 on matching contributions they make to an employee’s account. LB688, introduced by Omaha Sen. Machaela Cavanaugh, would allow individuals to designate a portion of their state income tax refund as a contribution to their account. 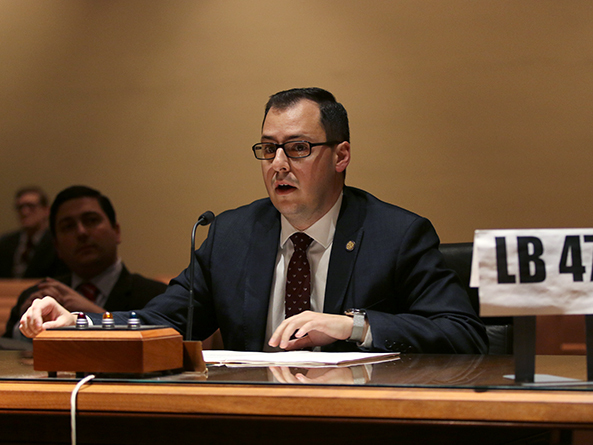 State Treasurer John Murante, the NEST program’s trustee and administrator, testified in support of each proposal. He said a common complaint is that extended family members cannot claim the tax deduction on contributions without opening a separate account for the beneficiary. Changes in LB470 would make the program “as user friendly as possible,” Murante said. Deborah Goodkin, NEST program manager at First National Bank of Omaha, also testified in support of the proposals, which she said are intended to increase the number of Nebraskans who save for college. In her testimony on LB470, Goodkin said 94 percent of respondents to new account owner surveys indicated that the plan’s tax-advantaged savings were “extremely important” in the decision to open an account. Renee Fry, executive director at OpenSky Policy Institute, testified in opposition to LB470, saying it would reduce state tax revenue at a time when Nebraskans are asking for property tax reductions. Of the 31 states that offer tax deductions on contributions to college savings plans, Fry said, only 10 allow for more generous deductions than Nebraska’s and only four have no limit. Additionally, Fry said, the bill mostly would benefit the state’s high earners. Only 1.95 percent of Nebraska residents claimed the college savings plan deduction on their 2016 returns, she said, and 72 percent of those who received a deduction that year had income of more than $100,000.